“Tis the season for excitement and excess… and while our waist lines and bank balances may bear the brunt of our festive good cheer, the oceans suffer too. Every year Australians spend more than $16 billion celebrating Christmas (which is almost $1,000 per adult!) – half of that goes on gifts. 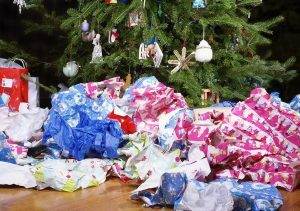 The vast majority of presents come shrouded in plastic – the enemy of all things marine. In Britain alone, 125,000 tonnes of packaging is purchased at Christmas – multiply that by all the other countries who have also bought into the December consumer frenzy and that’s a whole lot of waste that needs to be dealt with. 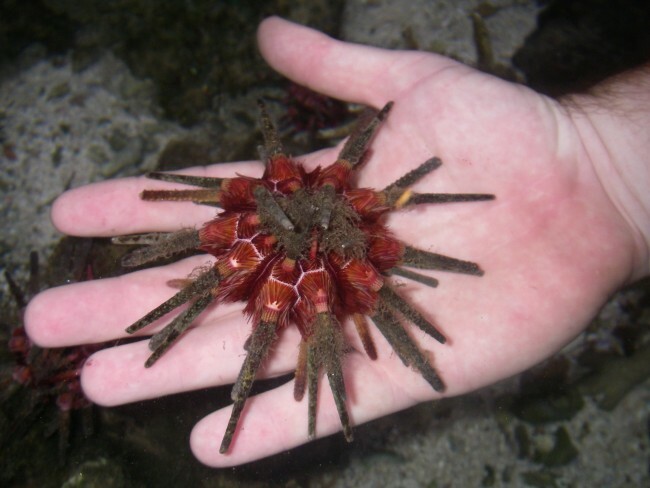 When it comes to gifts, ideally we should embrace the idea of experiences over physical items – a ticket to a Marine Biologist for a Day Program run by Ocean Life Education will be remembered long after the holidays have passed! Likewise, donating to your favourite charity – be it humanitarian or conservation will help improve the balance on this planet. But if products need to be bought, how the packaging is disposed of becomes paramount – artificial floating debris gets ingested by curious marine life making it the scourge of the sea. Most plastics and cardboard can be recycled – but not the polystyrene foam often used to protect electronic presents. The paper the gift comes wrapped in also takes a massive toll on nature – it’s estimated 50,000 trees are harvested every year in Australia just to produce the colourful embellishment that is ripped and discarded within seconds of reaching its recipients. Paper is a preferable choice to foil but a better option is to use homemade wrapping created from recycled material or reusable presentation boxes. Batteries too have become a major headache for the environment – 8,000 tonnes of them are thrown away in Australia every year. Switching to rechargeable options has a third less impact on the planet. 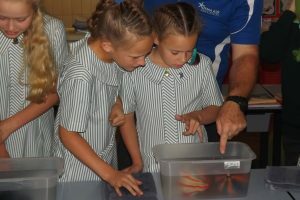 Ocean Life Education has a range of programs that help to inform people of all ages about ways to be more mindful of our footprint on earth – our mobile aquarium can come to you for all sorts of occasions, giving the gift of interacting with our beautiful marine animals. Being conservation minded in the festive season is not about sucking the joy out of Christmas – it’s about finding a way to celebrate that doesn’t cost the earth it’s future. 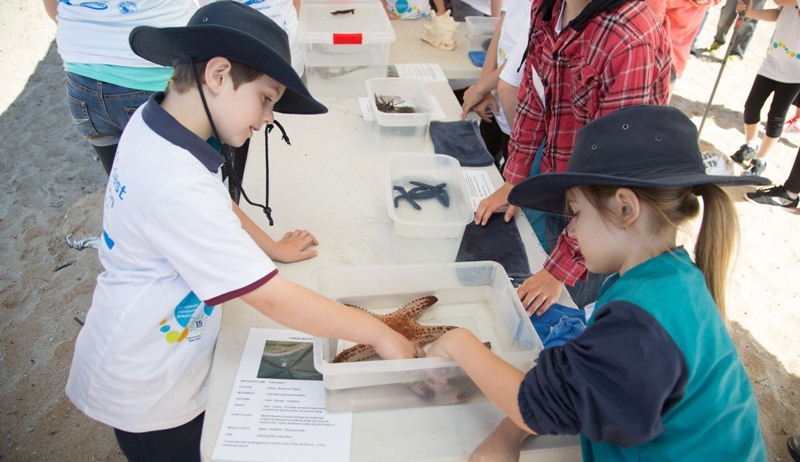 This entry was posted in Marine Education and tagged education for sustainability, holiday education, human impact, plastic waste on December 6, 2018 by oceanlifeeducation.